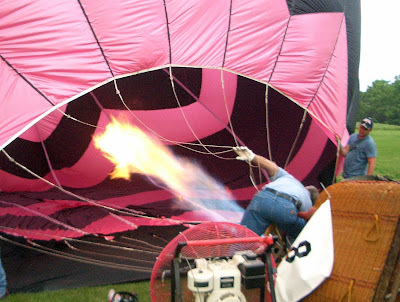 Here are pictures from the yearly balloon fest in our area. The kids enjoyed dancing to the band. M and P were asked to come on stage and sing! S loved rolling down the hill in front of the band and staying out late with all the other kids. The whole event is a fundraiser for children with diabetes...next year we need to bring more money as we all went pretty hungry and thirsty when the cash ran out! 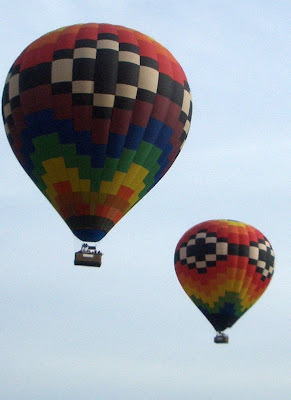 There are several balloon races during the weekend. Only 4 balloons took off on Saturday night. I don't know why...last year they launched all the balloons and we were able to watch them go right over our heads. It really was exciting. I would love to ride in the basket someday...I love the idea of not knowing where we will land...I'm all about adventure like that. 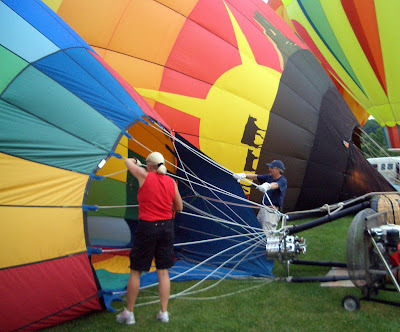 I love hot air balloons, and would also love to ride in one! The last photo is awesome! Gorgeous balloons! 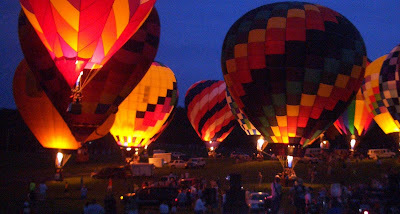 I love love love hot air balloons. So pretty. They're one of my favorite things to look up into the sky and see. Looks like you had a blast!